A book titled Strategy in the Second Nuclear Ageby Toshi Yoshihara and James R. Holmes is a thorough articulation of the strategies, causes and repercussions of the nuclear ages and their eras. The need to accept the reality of a post-proliferation world represents our key conceptual rise. All three states have moved on to the next phase of proliferation and thus they are devising nuclear doctrines. One has to acknowledge here the fact that the ground situation of all these states may vary in one or the other way, obviously accordingly to their national interests. “India on 5thNovember announced said its first ever indigenously developed/ built nuclear-powered submarine that had recently completed its first patroI. India plans to build three more nuclear subs. It aimed at completing a “triad” and give India the ability to deliver nuclear payloads from land, air and sea”. Pakistan on the other hand has assumed a stance predicated on nuclear ambiguity with working to response on an equal basis. North Korea has—evidently—expanded its modest arsenal while exploring creative basing options for its missile force. In the case of Iran, a key component of its strategy is to make a breakout impervious to domestic and international pressures to roll back. In short, one might expect these nuclear players to optimize their strategies and doctrines to suit their local circumstances. The quantitative dimension of nuclear strategy stands out as another stark contrast to the Cold War. Admittedly, force size is a relative concept that must be compared with other factors, including adversaries’ force structures and a country’s own financial and economic wherewithal to develop nuclear weapons. The twin pillars of deterrence: the capability and credibility of nuclear states’ arsenals may be modestly compared with Cold War standards. Nuclear newcomers’ notions of sufficiency may differ radically from those of the Cold War. Considerations of reputation and moral stature could apply a brake on arms buildups, particularly in democracies like India. Even a nuclear state like China allowed its nuclear forces to remain small, more or less static in size and technologically stagnant for decades until recently. 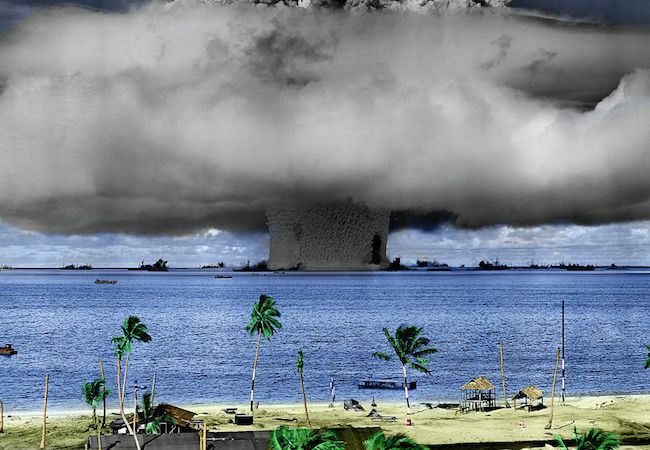 Many new players possess nuclear infrastructures and doctrines for employing nuclear forces that are unusual to their local circumstances. For their part, the established players covered in this oped are developing hardware and doctrines that are so at variance with past approaches that they may as well be starting anew. However last but not the least, the second nuclear age is propelled by competition between regional states possessing roughly similar nuclear capabilities. Most newcomers are likely to assume recessed nuclear postures, which keep their forces at low readiness during peacetime. In the case of China, Beijing sought to deter both the United States and the Soviet Union. The rivalry between India and Pakistan by engaging in low-intensity conflicts attracts the most attention at present. An unfamiliar but no less dangerous competition involves China and India. The pressure to rely on nuclear weapons as a stopgap is perhaps most acute in South Asia. The situation got worse by the adoption of ‘Cold Start Doctrine’ for limited war by India. New Delhi and Islamabad are thus engaged in a two-level game of nuclear and conventional interactions that could fan instability during a crisis. Size matters in nuclear deterrence, but it is clearly no guarantee of success.